As Toronto struggles to house a growing popultion of homeless people, long-term answers could lie 6,600 km away in Helsinki. Simon Dar never imagined he'd spend nights sleeping beneath a bridge. 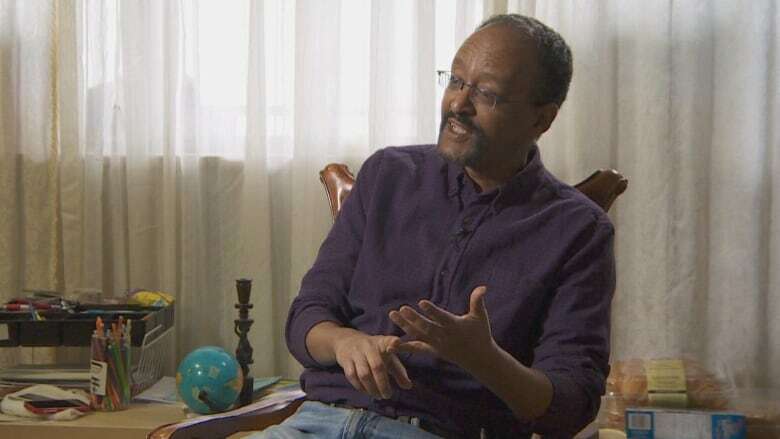 He'd had a stable life as a chemist in Toronto, where he lived with his partner and their two children. Then, in 2009, Dar lost his job. Soon after his life went into a tailspin and he ended up living on the streets. He drank excessively, which he says helped to numb persistent fears about his safety. But even then, Dar refused to sleep in shelters — they were often more frightening than the alternative. After years of hard drinking and living rough, Dar was finally offered a room by Homes First, an organization that operates 13 housing sites and three shelters in the GTA. With a stable place to call his own, Dar started to rebuild his life. "[Having a safe space to sleep] gives you a lot of confidence, a lot of hope," he said. "At least I can sleep, at least I can hide, at least I don't have to live in shame and guilt." Over time, Dar was able to improve his circumstances and he was eventually given full custody of his two children. His story of struggle and redemption is not unique. Evidence from Finland suggests that giving people a safe place to live is a more effective measure to reduce homelessness than building emergency shelters. 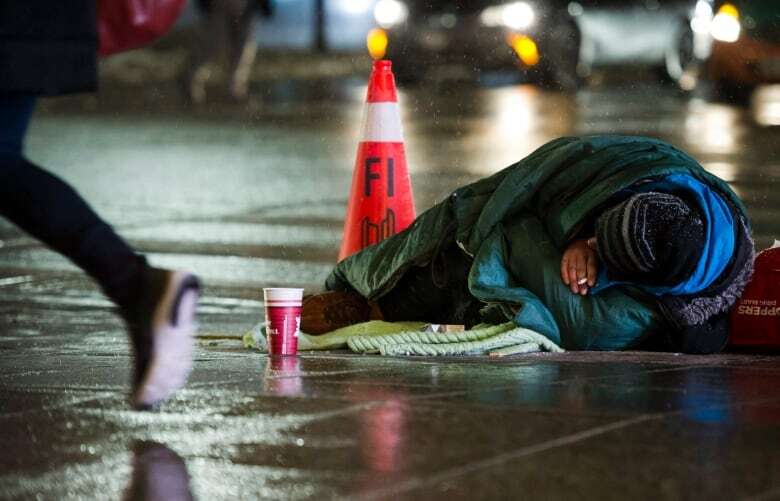 Yet in Toronto, officials have responded to a growing homeless population — up some 20 per cent since 2013 — by adding beds to existing city shelters and opening temporary facilities in the winter months. Toronto's approach amounts to a "band aid" solution, says Haydar Shouly. Shouly is a manager at Dixon Hall, a non-profit organization that offers community services in the east end. "We know that shelters don't solve homelessness," he added. There are currently about 8,000 beds in the city-wide shelter system, with three temporary facilities adding another 280 beds for the winter. In contrast, there are just 52 year-round beds in emergency shelters in Finland's capital, Helsinki. That number swells to about 100 during winter. It's rare to see people living out on the streets. Ten years ago, the Nordic country radically changed its approach to ending homelessness. The plan was simple: build more housing, not emergency shelters. The Finnish government constructed units, converted shelters into supported housing for the chronically homeless and purchased private apartments and rented them out to people on the brink of homelessness. Between 2008 and 2015, Finland created 3,400 new units, with 2,500 more set to be completed by the end of next year. In that seven year period, Finland's population of chronically homeless people decreased by 35 per cent. Further, there were roughly 19,000 homeless people in the country in 1987. Today, that figure stands at about 7,100. Providing permanent housing first, and then the "support that is needed, based on the personal, individual needs" of each occupant, is the key, said Juha Kaakinen, CEO of the Helsinki-based housing provider Y-Foundation. The Finnish system is based on the principles that permanent housing enables independent living, and that residents need a place to live to feel like they are part of wider society. The units are rented to formerly homeless residents. If a tenant can't afford the rent, they can access the same government housing benefits that are offered to all Finns. "The principle of normality is very important to us," explained Kaakinen. "It's the only way former homeless people can really be integrated into society; that they are treated like anybody else. It means they have the same rights, but also the same obligations." Most importantly, he added, is the fact that Finland's approach — aptly known as 'Housing First' — is built upon getting vulnerable people into stable living situations. It's an expensive strategy. Through experience and consultations, however, governments, non-profit groups and private sector businesses agree that it's ultimately cheaper than the kinds of alternatives most cities adopt to tackle homelessness, according to Kaakinen. The Finnish experiment has shown that renting supported housing to a person who's been on the streets for more than a year saves taxpayers about $23,200 annually, according to a cost-impact study published by Tampere University of Technology. That money that would otherwise be spent on emergency health care, policing and legal costs. The savings per renter grow once they begin working and paying taxes. Finland is the only country in the world that has built an entire national homelessness strategy around the principle of 'housing first.' That said, the approach has been tested elsewhere, even in Toronto. Homes First, the organization that helped Dar get off the streets, established the city's original 'housing first' project on Shuter Street, near Moss Park, almost 30 years ago. Other groups have taken a similar tack. Sa'ad Talia said that space in a boarding house helped save his life. He was on the edge of homelessness, living in squalor, when Habitat Services helped him find the small room. "It was amazing. It was the most amazing sensation because I had never had that kind of stability," he recalled. For Talia, it was the start of a long path to recovery from multiple substance abuse problems and mental health issues. "I would not have been able to handle any of them if I had not had the respite of being sure that the roof over my head, the food in my stomach, was going to be there no matter what," he explained. Canada's National Housing Strategy, released by the federal government earlier this year, aims to halve chronic homelessness by 2029 by helping communities "deliver a combination of housing measures." Meanwhile, Toronto Mayor John Tory committed to building some 40,000 new affordable housing units over 12 years as part of his re-election bid. At heart of that effort is the Open Door program, which offers developers incentives to build more affordable units. Critics of the incentives strategy, however, argue that the homes are often far out of reach to people living on the street. "The term needs to be 'deeply affordable housing,'" said Patricia Mueller, CEO of Homes First, adding that "affordable" is defined as 80 per cent of market value. "In the city of Toronto, 80 per cent of market can be over $1500 per month. That is somewhat ridiculous for someone who might receive $600 on social assistance. They cannot afford affordable housing." For now, about 3,000 out of every one million Toronto residents is homeless. In Finland? Just 1,280 per million. 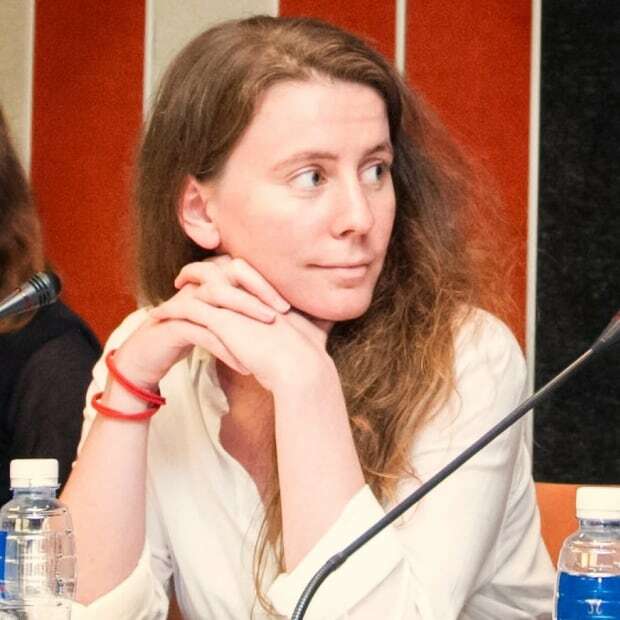 Laetitia Van der Vennet is a freelance journalist and human rights and migration expert interested in how people, communities and institutions handle adversity. She is a Fellow in Global Journalism at the Munk School of Global Affairs and Public Policy in Toronto and lives in Belgium.